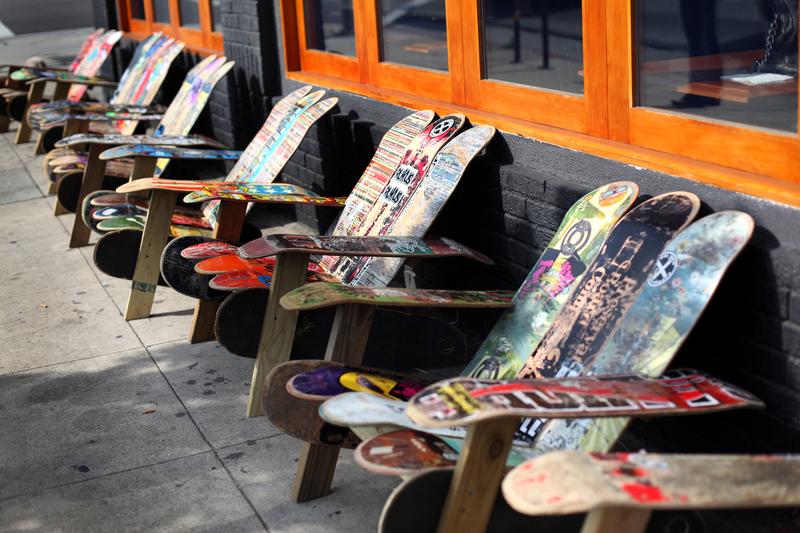 Chairs made of colorful skateboard decks outside of a restaurant in Los Angeles. Children play in the chilly surf in Ocean Beach, San Diego. 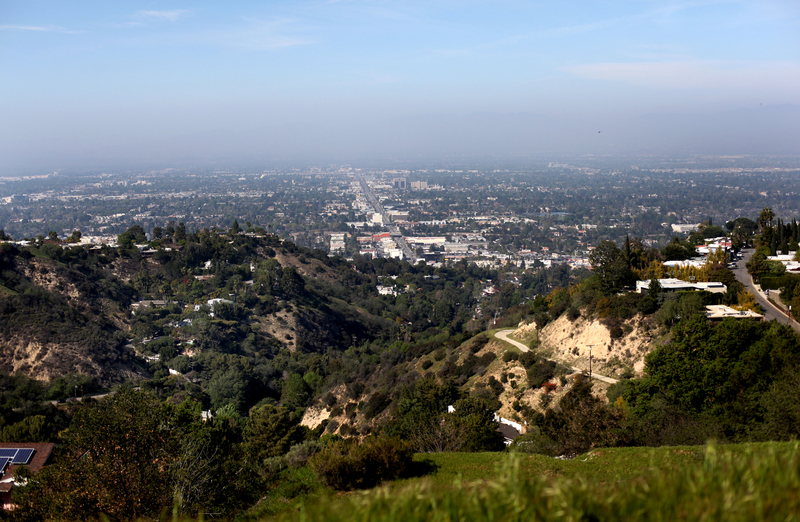 Looking down from high on Mulholland Drive. 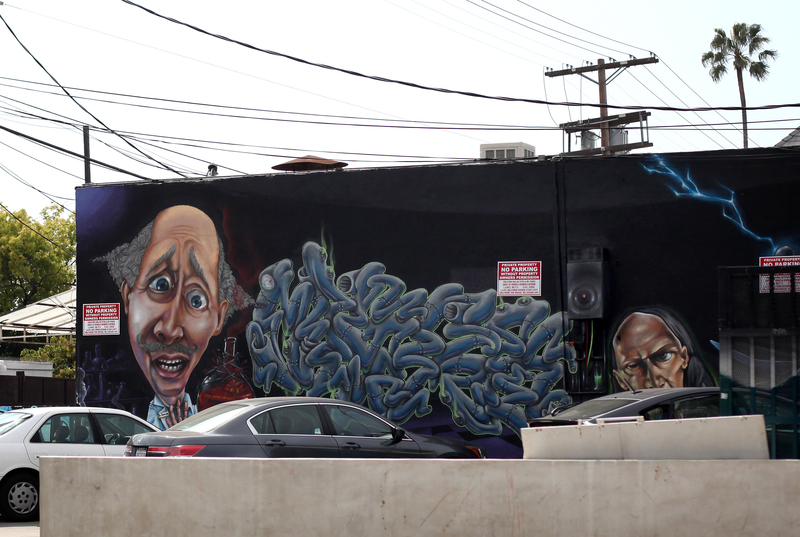 LA is full of vibrant graffiti and street art. 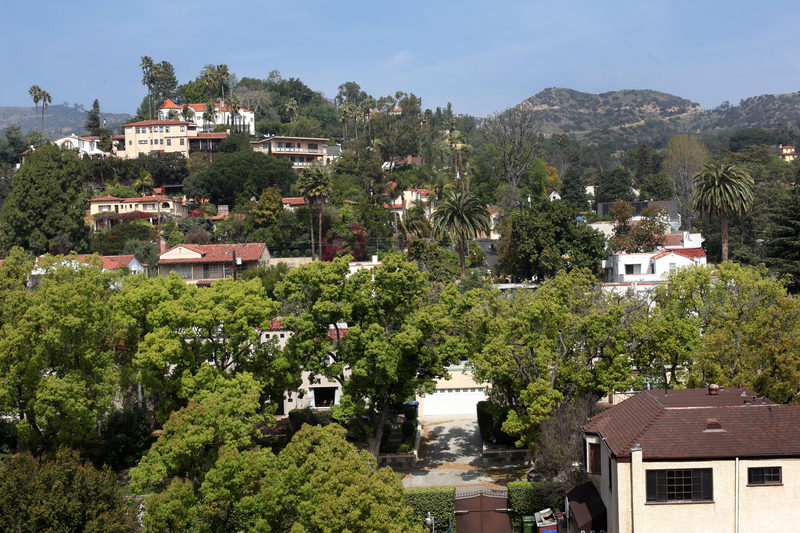 The view from a high-rise in Los Feliz. Newspaper stand in Los Feliz. 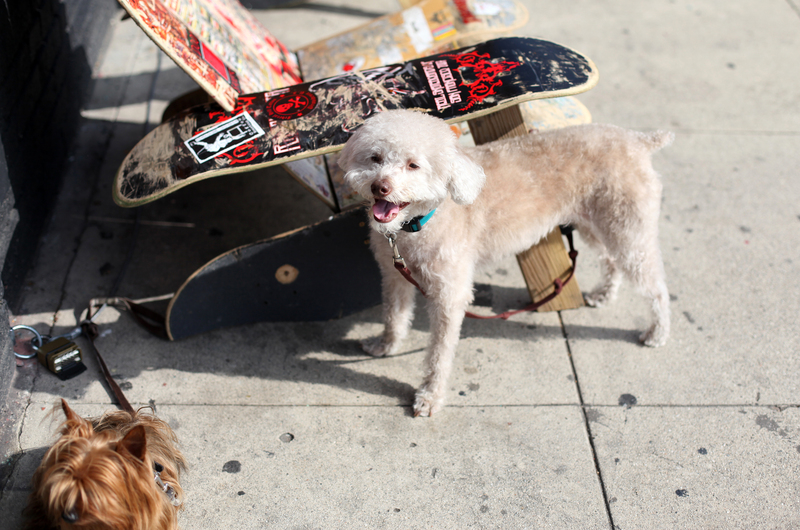 Back of a truck in Los Feliz.